When children think of princesses, they think of beautiful dresses, long lovely hair, and all the other great things that we expect from a Disney movie. They don’t think of Kate Middleton or some other modern relic from a political system that has survived progress through some foolish commitment to tradition. Simply put, children these days get their idea of what a princess is from TV and movies, and no one shows them princesses better than Disney. Queens are old, evil, bitter people, but princesses are the pretty young heroins who fall in love with their prince. 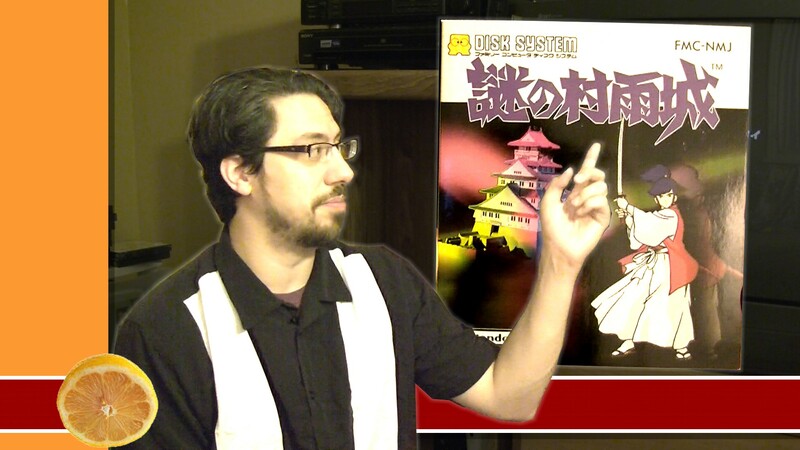 Is this a sexist portrayal? 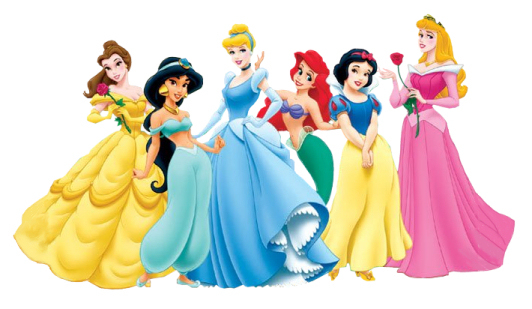 The level of focus grouped appeal to a young girl’s sensibilities seems to ignore all but the desire for commercial success as Disney Princess can describe both a character and marketing strategy. The Disney Princesses get a bad wrap, one I think is undeserved, as I believe them to be good role models for girls and will attempt to illustrate this. 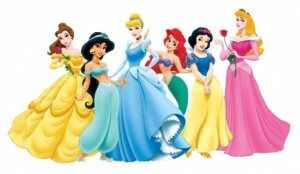 With that here are my 5 favourite Disney Princesses. Feel free to chime in with your own. 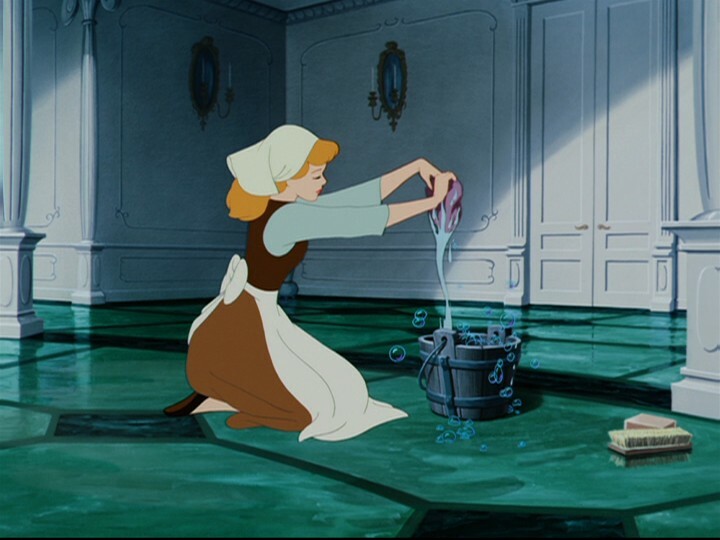 Cinderella’s story is the ultimate rags to riches tale. Inspiration for people that are in truly horrible situations, and a hope for little girls everywhere that through no real concerted effort on their part any girl can just become a princess. 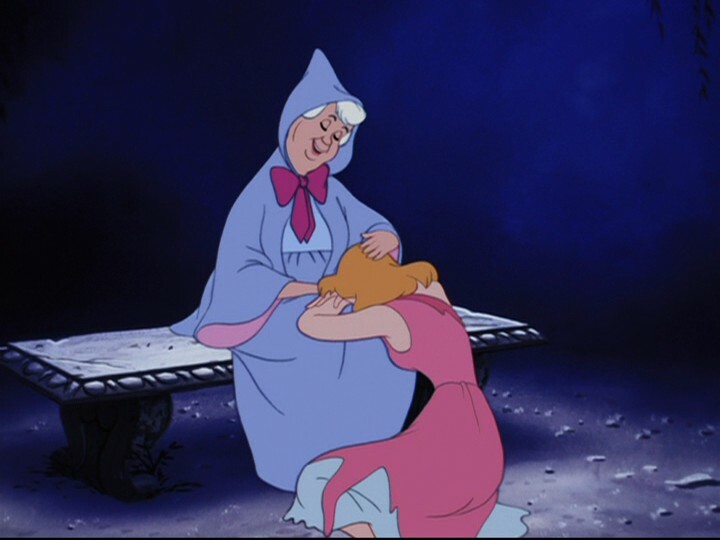 Cinderella has a truly horrible life. She is mistreated by her legal guardian and her evil step sisters. She’s basically a slave to them and unable to enjoy a normal life. Despite all this she’s a good hardworking person and is a friend to many animals, mainly the mice that help her make a nice dress. Because it’s a movie, good things happen to good people. Cinderella becomes a princess when she marries Prince Charming, a character as two dimensional as his name suggests. 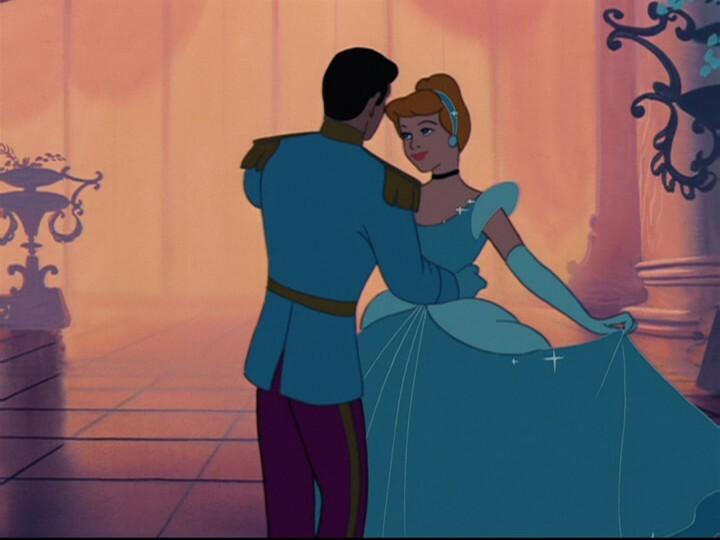 He isn’t really a character, but a plot device to make Cinderella a princess, as it’s really not his story, but hers. As role models go Cinderella is a good person who’s ever the optimist. The main problem with idolizing her would be in hoping for great things to fall in your lap, rather than making them happen. 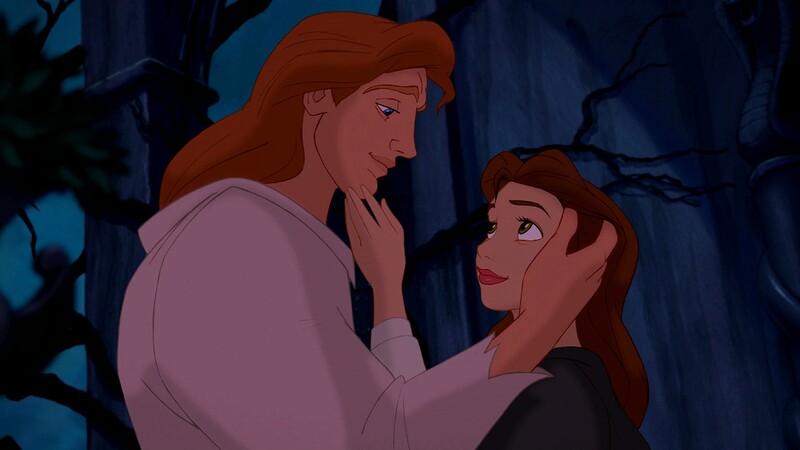 Very few women get swept off their feet by Prince Charming and get thrust into a life of luxury, but if you’re a nice looking girl who attended the University of St. Andrews at the right time, these kind of things have been known to happen… though Disney Princes usually have full heads of hair. 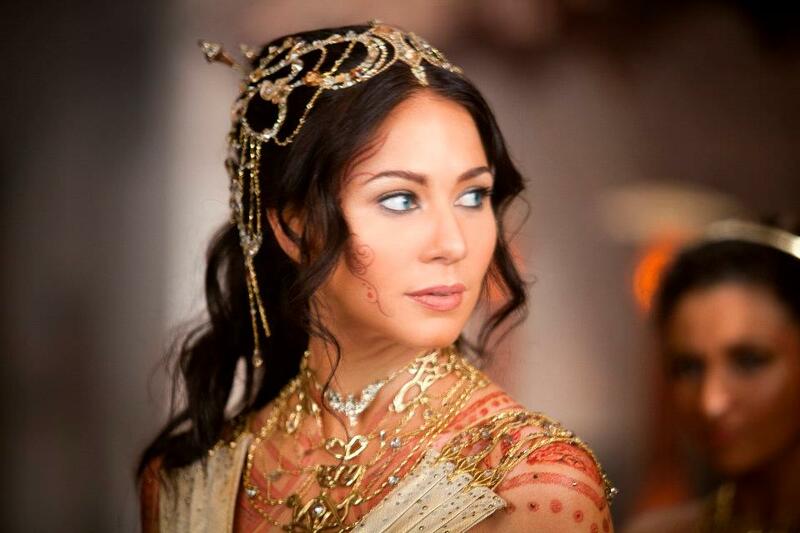 Dejah Thoris is a princess. 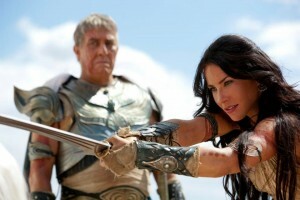 A Princess of Mars, as the title of the story which this movie is based on is called, she is born of royalty. This is in sharp contrast to the standard way in which our heroines attain the status of princess at one point during the story. There’s no far fetched way to become a princess in this tale, though since it is the story of John Carter, and not that of Dejah Thoris, the parallels to other films would have to be drawn by comparing John Carter himself to our average heroine. I don’t think calling Dejah Thoris a role model for girls makes much sense, considering the film’s PG-13 rating prohibits many from seeing it. Still, having an intelligent and capable heroine is a positive one, though most parents would probably not want their daughters dressing like Princess Leia in Return of the Jedi. 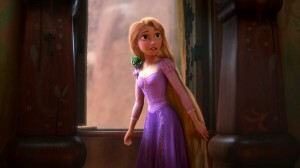 Rapunzel is the only computer animated lady on my list. 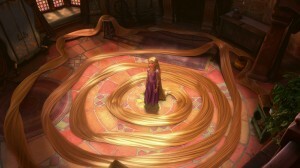 She has long hair, longer than any other character I’m aware of, and that hair is… well magical. It has the ability to heal and give people youth, which is pretty cool! 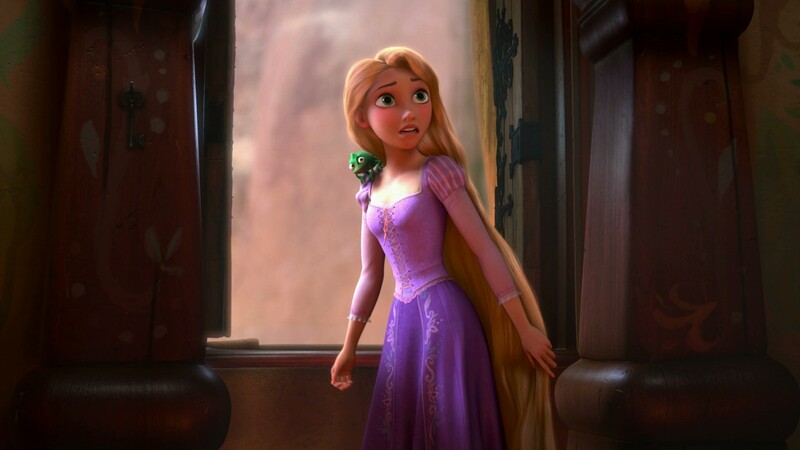 Having spent her life cooped up in a tower, Rapunzel yearns to see the world, and does just that, as a somewhat disobedient daughter, a typical trait for a Disney Princess. 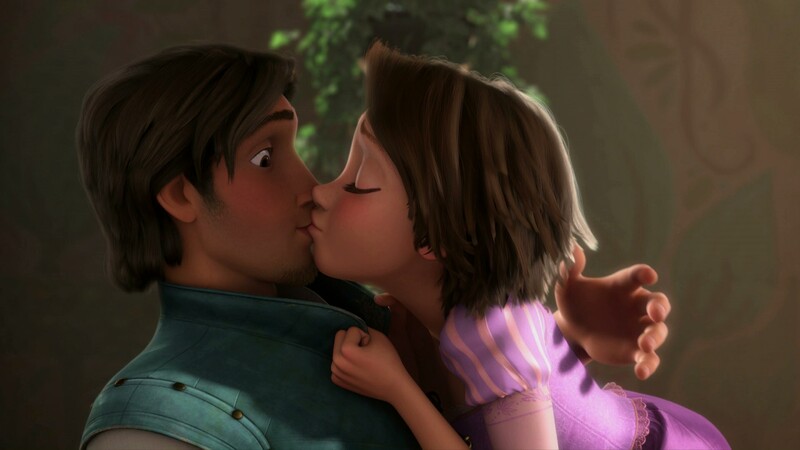 Though a bit weak at first from being sheltered, Rapunzel ultimately asserts herself with the help of a sturdy frying pan, and holds her own alongside Flynn Rider, also known as Eugene Fitzherbert. Children would do well to look up to Rapunzel, who is a smart and capable heroine who’s love of life and curiosity fuel her defiance. Less realistic would be the film’s portrayal of a character who finds out she’s a princess and falls into a world of elegance and riches. I’m not sure that happens terribly often, but a girl can dream. 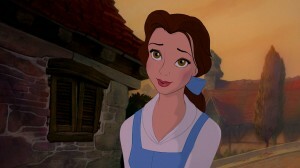 Belle is, well, the Beauty, as her name means in French, and as she is mentioned in the title of the movie. She’s more than just a pretty face, however. She’s a girl who’s every act defies the convention of the society she lives in. She rejects the advances of the attractive but boorish Gaston, has a great interest in books and is able to see the beauty in someone, even when they are outwardly quite terrifying. She is also willing to sacrifice her own well being for that of others, mainly her father who’s place she takes when he’s imprisoned for um… I guess trespassing. Belle is probably the best role model to be found in any Disney Princess. Here’s a girl who loves reading, doesn’t do the easy thing that’s expected of her, and sees true beauty in people where others do not. 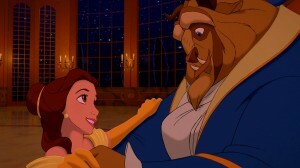 The story of Beauty and the Beast is often given as a tale of an abused spouse who refuses to leave her abuser. This is far from the truth. 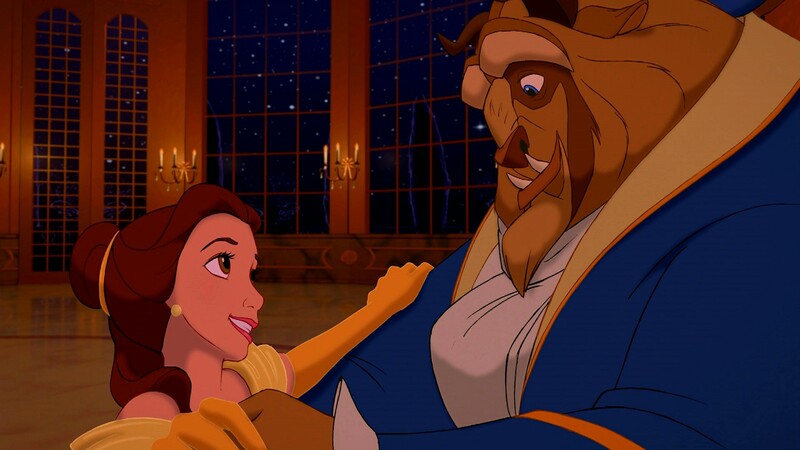 The Beast is truly a bad person at the beginning of the story, imprisoning Belle against her will, but Belle does not fall in love with this man. She falls in love with the man he later becomes. The curse is only lifted when someone falls in love with the Beast, something which only occurs at the end of the film when he is a different person. 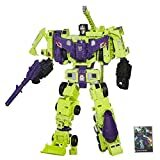 The Beast was a beautiful man who was ugly inside, and this story is one of his own transformation into a really worthwhile man. A man who earned the love of a woman as discriminating as Belle through kindness and releasing her from imprisonment. This is not a woman content to ignore an abusive man, but one who only truly falls in love with a man once he is no longer that person. 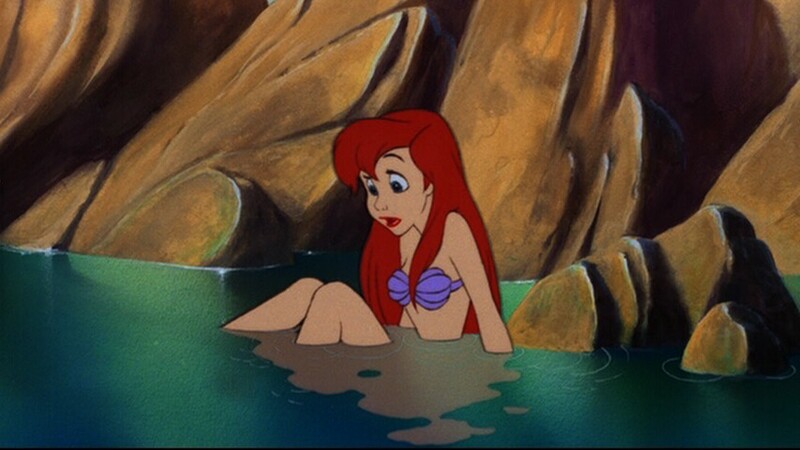 Ariel is a Mermaid. That’s pretty hot. I mean really, Mermaid or reverse Mermaid? The answer is pretty clear. Who cares what’s downstairs if a girl has the face of a fish? 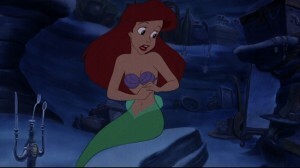 Ariel also wears two seashells as her only clothes for a large part of the film. That’s pretty great. She doesn’t even wear pants when she’s a Mermaid! Ariel, like many other Disney Princesses, wants more than the world she knows, which is fair because the world she knows is all under the ocean. The high jynx of the story comes from defying her father and trying to live amongst the humans, giving up her greatest gift, her voice, to do so. 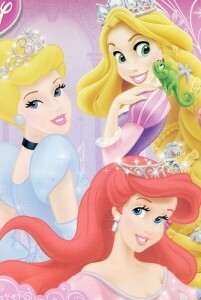 Ariel is a double princess, which is one more than most Disney Princesses have. She is the daughter of King Triton, which makes her a princess, but she also marries Prince Eric, as seen in the scene where the priest has an erection. What would her total net worth be if Triton died and she inherited that world and had access to Eric’s? Pretty good I imagine. 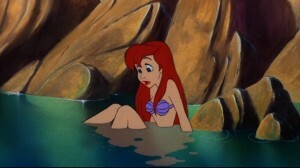 As a role model Ariel is a bit of a mixed bag. Her general attitude is mostly comprised of very positive character traits. She is not afraid to do anything to follow her dreams, even if it means disappointing her family, but to give up her voice for a man is a bit extreme. 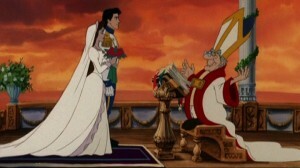 Ultimately no good moral is learned from the story as Ariel’s deal with Ursula is broken when Eric rams a ship’s bow into her. Not really making your bed and sleeping in it, since everything just works out through a violent killing. Dejah Thoris FTW! I love that you included her. Also the She-Hulk standing in front of the Disney Princesses in the related posts section is hilariously on-topic. I always liked Princess Aurora since Sleeping Beauty was the Disney movie I watched most as a kid. Personally I feel like all of the characters had great development and there weren’t any talking animals. Double plus. It also gives little girls a more realistic view of what it would have been like to be a princess by not being able to marry someone you love in order to broker an alliance with a neighboring kingdom. She just happened to fall in love with the right guy. My runner up would have to be Jasmine. Like Aurora she was going to have to marry a prince, granted she was going to have her choice, but she didn’t want any of that noise. It was a quick life-lesson for her that she had no idea what she was doing when she got out into the real world. But she never became a frail damsel even when we all know Jafar was going to ride her like a public bus in that slave uniform he gave her.